Definition: Blindsight, also known as agnosopsia, is the ability of people who are cortically blind due to lesions in their striate cortex, also known as primary visual cortex or V1, to respond to visual stimuli that they do not consciously see. When this happens in a person they can sometimes respond to visual stimuli that they can ‘see’ with their eyes but their primary visual cortex cannot translate to the brain. Humans have different areas of the brain that process visual information. Patients who have no conscious awareness of seeing objects have detected them in their path and moved around them. Such patients have also responded to color, emotion expressed by human faces, and motion (for example, supplying correct answers when asked to guess where an object is moving). Blindsight suggests that sometimes acting on information does not require conscious awareness of that information. Type 1 blindsight is the term given to this ability to guess—at levels significantly above chance—aspects of a visual stimulus (such as location or type of movement) without any conscious awareness of any stimuli. Type 2 blindsight occurs when patients claim to have a feeling that there has been a change within their blind area—e.g. movement—but that it was not a visual percept. Causes of Blindsight: To understand the possible mechanisms behind blindsight, first we need to understand the basics of how visual information is processed. 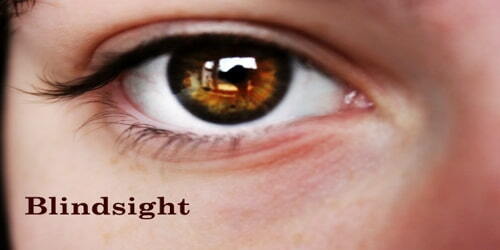 When light enters the eye, it is focused on the retina, found at the back of the eyeball. This visual information becomes electrical signals that transmit from the retina through the optic nerve. It is passed to the optical chiasm, the optical tracts, and the optic radiation, before entering the primary visual cortex, also called V1, which is in the occipital lobe of the brain. Other branches of the optic nerve deliver visual information to the superior colliculus and several other areas, including parts of the cerebral cortex. In turn, these areas might then control the blindsight responses. Some signals are passed on to the secondary visual cortex, also called V2, where more complex properties exist. Then there are also the third visual cortex (V3), which has numerous connections with other regions of the brain, and the fourth visual cortex (V4), which has similar properties of V1. It sounds confusing, but let’s not get bogged down by the details. The important thing to remember is that the occipital lobe contains four sections that have various jobs in interpreting visual signals. Evidence of blindsight can be indirectly observed in children as young as two months, although there is difficulty in determining the type in a patient who is not old enough to answer questions. 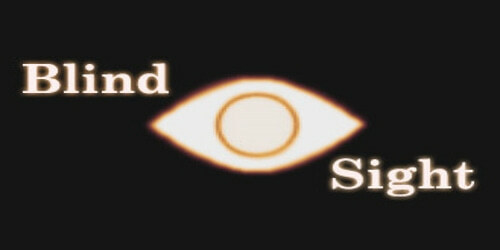 Implications of Blindsight: There are many interesting implications of blindsight. It demonstrates for instance how much goes on in our brains that aren’t directly ‘controlled’ by conscious thought, and it proposes potential explanations for several ‘supernatural’ phenomenon. It also highlights interesting questions about the nature of our consciousness, for instance, why is it that under forced conditions blindsight patients are able to name colors and shapes? The Lateral geniculate nucleus (LGN) plays a major role in blindsight. Although injury to V1 does create a loss of vision, the LGN is credited for the residual vision that remains, substantiating the word “sight” in blindsight. The LGN has the ability to bypass V1 and still communicate to the extrastriate areas of the brain, creating the response to visual stimuli that we see in blindsight patients. Using the proper techniques such as fMRI and other indirect methodologies, blindsight can be attributed to V1 damage and a functioning LGN.